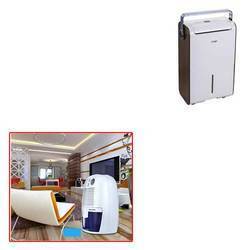 Supplier & Trader of Portable Dehumidifier for Home. Our product range also comprises of Portable Dehumidifier, Deep Freezer and Air Conditioning Services. ANNAUL MAINTENANCE CONTRACT (AMC) PROVIDED . Application INDUSTRAIL OR DOMESTIC . We are prominent trader and supplier of Portable Dehumidifier for Home that is effectively used in industrial sectors, offices, hospitals, hotels, motels and many other sectors. These Portable Dehumidifiers are acknowledged amongst our clients for their best performance and long service life. Offered products are well-tested for quality before making final delivery. Price Range Starting from Rs. 18,900 depending on the product model. Looking for Portable Dehumidifier for Home ?